File Photo: Komuram Ramanatham (54), Assistant Sub-Inspector (ASI), Kalwasrirampur. 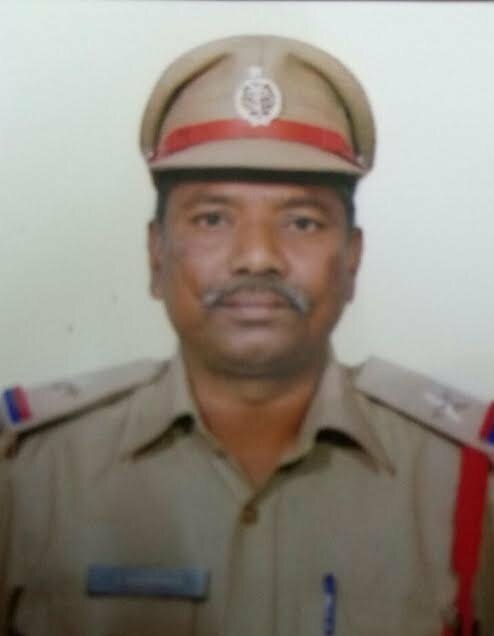 Peddapalli: Komuram Ramanatham (54), Assistant Sub-Inspector (ASI) of Kalwasrirampur mandal, committed suicide on Sunday evening by hanging himself from the ceiling in his quarters located in the police station premises. A colleague found his body hanging from the ceiling when he went to his quarters. Though the police suspect that personal problems could have provoked the policeman, allegedly an alcoholic, to take the extreme step, the exact reason for his death is not yet known. 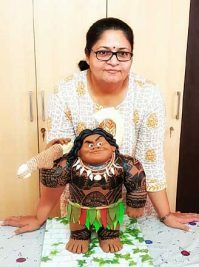 A native of Domeda of Mangapeta mandal in Jayashankar-Bhupalapalli district, Ramanatham joined the police department in 1983 and worked in different places. In 2011, he was transferred to Kalwasrirampur from Godavarikhani two town police station. He is survived by three sons and a daughter. He was staying alone in te police quarters and his family members live in Karimnagar. 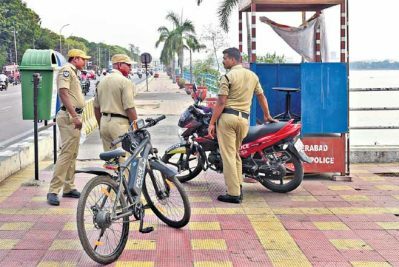 After coming to know about the incident, Peddapalli ACP Malla Reddy and CI Srinivasa Rao visited the spot and enquired with the other policemen about the possible reason behind the suicide. Police shifted the body to Peddapalli government hospital for postmortem and registered a case.